REF1320: This professionally maintained Jeanneau Sun Odyssey 42i of 2009 is fitted with roller Genoa dacron of 2015 and lazyjack/lazybag Mainsail quantum of 2015 fully battened. Additional sails in average/poor will be given with the boat.The engine is Yanmar 75HP with approx. 2500 operation hours. Fitted with an inflatable of 2017 with outboard Honda of 2017, bow thruster that provides easy and comfortable maneuvering, teak deck all around, new bimini & sprayhood. new manual inox passerelle, EPIRB and additional equipment. The front cabins can be transformed to one or two through a bulkhead. 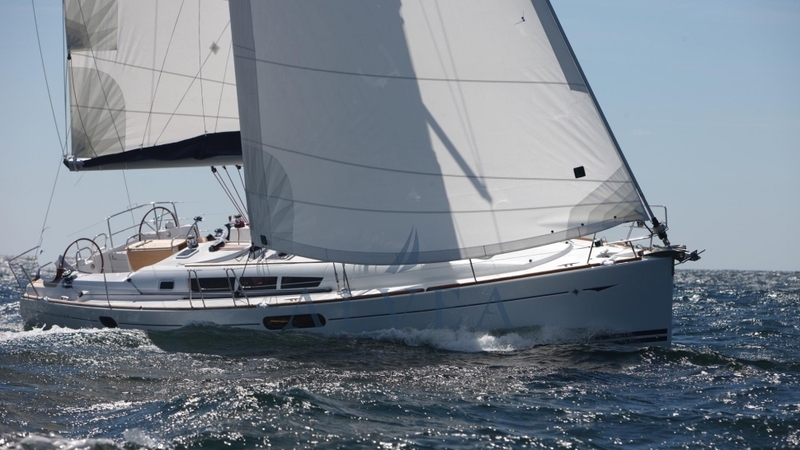 You are welcome to contact Alvea Yachts Brokerage for additional information about this elegant Jeanneau Sun Odyssey 44i sailboat.